Caitlin Wins SC State Tennis Championship 2nd Year in a Row! We love to feature our employees as they achieve some major accomplishments. You may recall us blogging back in June about Caitlin winning the State Championship Tennis match and going on to Regionals. 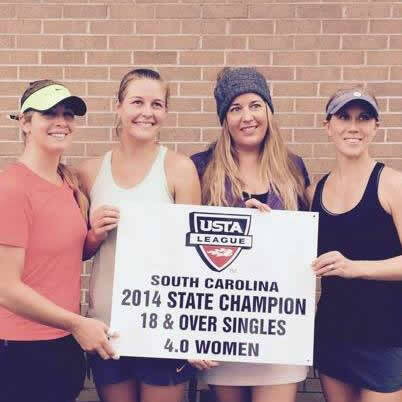 Well, this past weekend, our very own Caitlin Negethon competed in the South Carolina Singles State Tennis Championships and for the second year in a row, she took home first place with her team in the 4.0 18+ division! More than 300 players participated in the championships this year. Divisions are grouped by age and competition level. Caitlin captained both years for the team as they went on to win the State Championship. Pictured below are (from left to right) Lindsay Wallace, Kristin O’Neil, Capt. Caitlin Negethon, and Co. Capt. Amanda Gallup. The finals this year were played in Charleston facilities: Moultrie Playground, Maybank Tennis Center, Charleston Tennis Center and St. Andrew’s Parks and Playground. It was a very cold and rainy day for matches on both Sunday and Monday and they played against some stiff competition from Charleston. 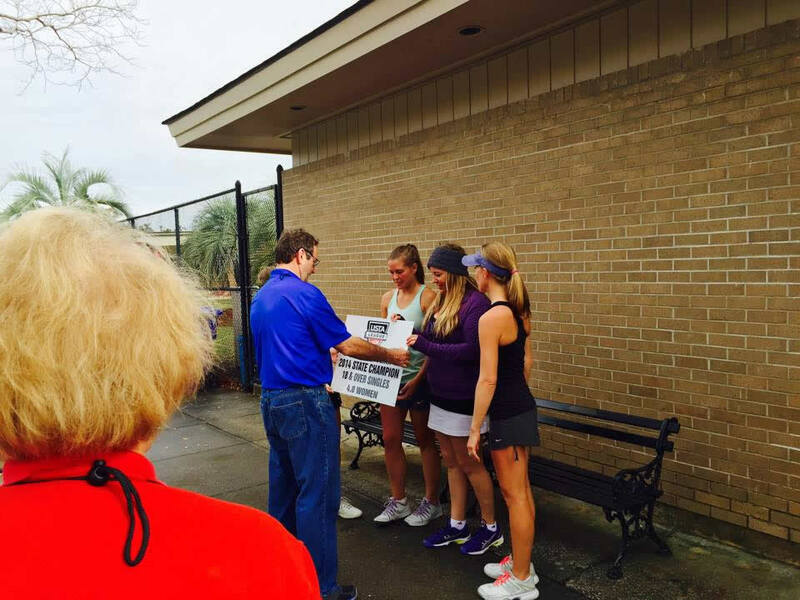 Pictured above is the USTA SC Singles League Coordinator and North Area Director Sam Hicks presenting the Championship plaque to Capt Caitlin Negethon with the USTA Tournament Officials and spectators looking on. Next Next post: Website Not Mobile Friendly? Watch Out For Devastating Results.